This 3-11 minute meditation clears chaotic thoughts and supports sovereignty of mind. When we feel that our mind is grounded and calm, we become our own directive authority, and the psyche can fulfill the self. This meditation enhances your capacity for caliber, self-authority and the happiness that results from a steady and tranquil mind. This practical 3 minute meditation video is the condensed version of the Caliber for Constant Authority Meditation, designed for those already familiar with Kundalini Yoga. A fabulous 40 day sadhana, this potent, effective, and efficient meditation is designed to quickly calm and quiet your mind, release stress, activate inner wisdom and raise the frequency of your thoughts. Sing mantras in your authentic voice to open a vibrational harmony through which the Infinite can be experience and embodied. Use these videos to learn and practice keys and chords that work well with a variety of mantras. Play and follow along, or just listen to the mantras to sing and learn them. 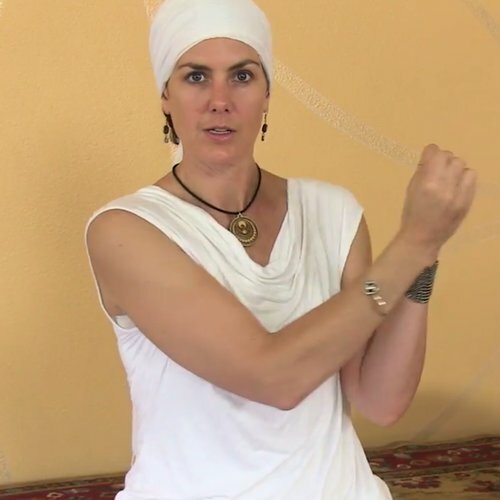 Awaken to each of your ten bodies in this live 99 minute Kundalini Yoga practice with Signa. Learn how to do the Breath of Fire and practice an 11 minute Laya Yoga mantra chant meditation. The Ten Bodies are: Soul Body, Negative Mind, Positive Mind, Neutral Mind, Physical Body, Arc Line, Auric Body, Pranic Body, Subtle Body and the Radiant Body. In this practice, deepen your understanding and meditate on each of these bodies. Experience the voice of intuition as a direct link to Divine Wisdom in this live 90 minute Kundalini Yoga class with Signa. Experience a 16 minute four stroke pranayam meditation to anchor your awareness into the subtle and neutral energies of the voice of intuition. This meditation opens the chakras and helps empower you to find a direct connection with your personal voice of guidance and inner truth. This live 90 minute Kundalini Yoga class with Signa starts with a 15 minute warm-up followed by a one hour kriya for vitality and renewal. Strengthen, stretch and activate. Synchronize your breath and body to revitalize, and feel yourself as a unified force. Learn a little bit about how mantra works, and stoke the sacred fire within. Clear, cleanse and deepen your capacity for grace, presence and vitality.